Take a look at TripAdvisor for all your Quirimba hotels and accommodation information. All you have to do is read the frank feedback and advice from guests and fellow travellers then contact your expert travel consultants to set up your tailor-made holiday to Mozambique. We can guarantee that your Quirimbas accommodation will be luxurious and chic, rustic and comfortable – there are island hotels in Mozambique that will take your breath away and the TripAdvisor reviews substantiate this. Staying in the Mozambique Quirimbas Archipelago means choosing appropriate accommodation for your particular needs. Some of the islands offer incredibly luxurious hotels or lodges while others offer environmentally-friendly villas. All accommodation in the Indian Ocean off the coast near Pemba is beautiful, tasteful and more than you ever would have expected! Read all about it on TripAdvisor, the frank reviews and advice from those who have been to, and thoroughly enjoyed, the Mozambique Quirimbas. Here you will find no cars, no roads, a few airstrips, a few villages and one or two traditional boats – people love coming to the Quirimbas Archipelago because it is so remote, so untouched and so removed from modern life! Not to mention its exquisite beauty and the opportunity to have fun in the sun. Visit this unique African destination and watch how the local people get on with life – survival. Quirimbas accommodation in beach hotels will satisfy even the fussiest tourist: try Azura at Quilalea, Ibo Island Lodge or Medjumbe Anantara Island Resort & Spa as your holiday destination. At Quilalea, find only 9 hand-built and beautiful private villas on the ocean, blending into the surrounding nature – a natural and free experience in Mozambique. The staff are courteous and friendly, hands-on and efficient; the food is remarkable and the snorkelling out of this world. Find out more about the private villa at Quilalea. Not far away lies Ibo Island Lodge, one of the most charismatic island destination in Mozambique. Stay in an ancient restored four-star Manor and get treated like royalty. For between R1200 and R3600 per person, you will get five-star service, delightful activities, wonderful accommodation and plush amenities. Everyone is so friendly at Ibo and you can spend hours in the beautiful gardens in swings, on the patios and up on the sundowner terrace. Swim in two swimming pools or make use of the secret sandbank beach every day. Read more about activities at Ibo here. Anantara Medjumbe Island Resort & Spa is one of the hotels in the Quirimbas voted Excellent by TripAdvisor guests. The island boasts plenty of natural beauty, delicious seafood, private villas set on soft sandy beaches and incredible ocean life to see by boat or when you go deep sea diving. The spa is known for is magical massages and the staff are known for their expertise and friendly faces. Check out the packages for Medjumbe here. Fanie D from Johannesburg says that the island is a jewel and he would like to revisit this kind of heaven. 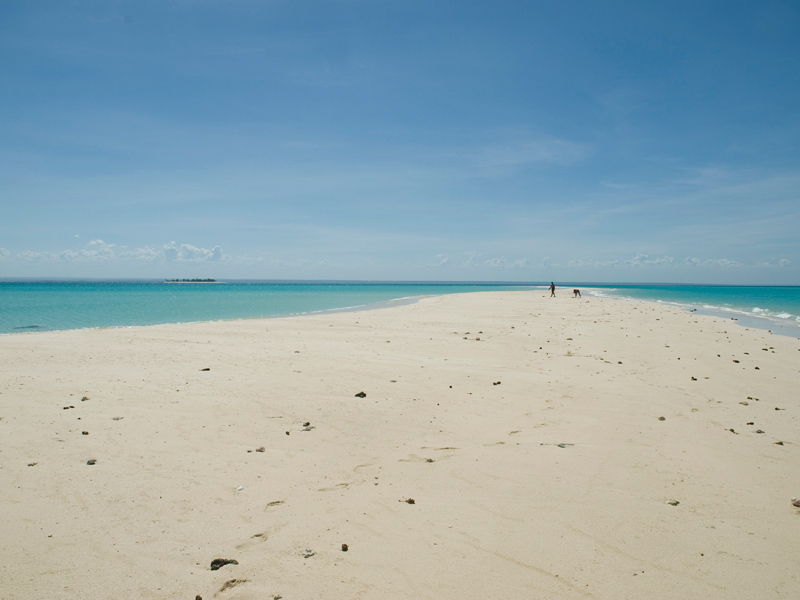 It is only one kilometre long and 500 metres wide which makes exploring quite easy and relaxing on a unique white beach the highlight of every day. Mozambique holiday package that combines Medjumbe Anantara Private Island and Ibo Island Lodge. The Mejumbe Private Island and Ibo Island Lodge package promise barefoot luxury and colonial style in this unbeatable package. Ibo Island Lodge offers beautifully restored Mozambique accommodation that brings the heritage of this island alive.Azura at Quilaleaand Ibo Island Lodge has put together a joint itinerary which showcases the best of the Quirimbas in an experience of history, culture, guided activities and beach! Contact our expert travel consultants and we will tailor make your Quirimbas holiday. TripAdvisor reviews and feedback ensure you stay in world class Mozambique hotel accommodation, thanks to the frank advice from fellow travellers. Enquire here.